Bob White Lodge was founded by Scout Executive J. Rucker Newbery in the summer of 1936. The first members of the Lodge were staff members at Camp Linwood Hayne. Tali Tataki # 70 from the General Greene Council, Greensboro, North Carolina, installed the Lodge. As the charter members recall, they had to abide by the ordeal rules by being quiet while performing their appointed jobs. In the early years of the Order, an animal or bird identified the Lodges. Ours was named Bob White because of the quail that inhabited old Camp Linwood Hayne on Boy Scout Road. Most Lodges have changed or translated their names leaving our Lodge and the Blue Heron Lodge #349 in Virginia, as the only two Lodges that do not have Native American translated names. Kenneth Forney was our first Lodge Chief. He was followed by O’Neal Cave, who traveled the states of Georgia and South Carolina installing new Lodges, several whom are in our current section. Our Lodge is the oldest Lodge in the Georgia and South Carolina area, and is credited with installing Lodges in the two state areas, including those in Atlanta, Macon and Savannah, Georgia and the Lodges in Columbia and Florence, South Carolina. In 1937, Lodge members helped reconstruct a log cabin which became the official home of the Bob White Lodge. In the early 1970’s, the Cabin was dismantled from the old Camp Linwood Hayne off of Boy Scout Road in Augusta and reconstructed at its current location at Camp Linwood Hayne in South Richmond County, Georgia. The third Lodge Chief of the Bob White Lodge was Carl Stelling. In 1938, eight Bob White Lodge members became the first Order of the Arrow members in Region 6 to receive the Brotherhood Honor. In 1942, Chief Newbery moved to Charleston to become their Scout Executive and founded their Lodge. He went on to serve as National Secretary of the Order of the Arrow. In 1948, he compiled and edited the first OA Handbook. J. Rucker Newbery was awarded the Order of the Arrow’s Distinguished Service Award in 1948 while serving on the National level. In 1948, at the Area Z meeting in Charleston, Bob White Lodge Chief, Robert Humphries was elected as Area Chief. In 1955, the Bob White Lodge hosted its first Area Conclave for Area 6-C. It was held at A H Stephens State Park. The next two Area Conclaves Bob White Lodge hosted were in 1965 and in 1968 at Camp Linwood Hayne. The Region system was changed in 1973 and the Lodge hosted the Area 5 Conference in 1979. We hosted the 1986 Dixie Fellowship at Camp Linwood Hayne. Chip Grant served as the Section Vice-Chief of the Dixie Fellowship, and Robert Boquist was Lodge Chief at the time. 1986 was also our 50th anniversary. The Guque Dancers, the Lodges dance team, placed 3rd at the Dixie hosted by Tomo Chi-Chi in 1987, and 2nd at the Dixie hosted by Tsali Lodge. In 1989, at a Dixie held by Unali’yi Lodge, our Lodge had the best showing at a Dixie. The Lodge placed 3rd in the planbook competition, placed in many quest events, and our Lodge tied for 1st place with Skyuka Lodge in the quest for the Golden Arrow. The tie was decided by a pull-off tug of war, which Skyuka had obviously practiced for, and Bob White Lodge took 2nd place overall in the quest. Over this decade we sent many outstanding youth to the National Order of the Arrow Conferences at various Universities around the nation. The Lodge also sent promising youth leaders to the National Leadership Seminars held during this time. In 1989, our Lodge made changes in the Lodge program, and improvements in Lodge Administration. The committee structure was redone to better suit the current needs of the Lodge. 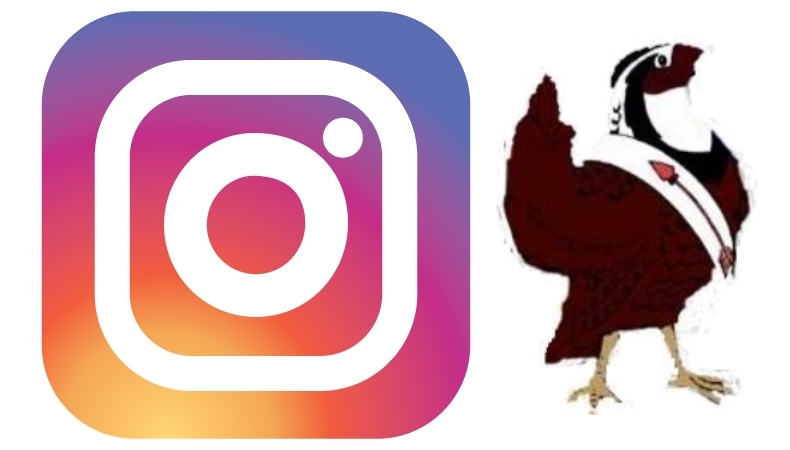 The Lodge also began to incorporate fun activities into its Ordeals; including the annual egg toss contest, the whirlybird Olympics, and an adult vs. youth tug of war contest. Better known as “Funk on the Field”. In the same year our Lodge earned the distinction of National Honor Lodge. Jeff Yearick and Scott McKie were selected to serve on the Order of the Arrow Service Corps at the 1989 National Scout Jamboree. Graham Murray was our Lodge Chief in 1990. A contingent from the Lodge attended the 1990 National Order of the Arrow Conference in Indiana. The Bob White Lodge hosted a very successful Section Indian Affairs Seminar in the fall of 1990. Scott McKie served as SE-5 Section Vice-Chief of Indian Affairs in the 1991-1992 season. In 1992, Bert Wright began the term of Lodge Chief, but Gabe Garner succeeded him upon his resignation due to time constraints. In 1992 a contingent of five youth and six adults represented the Lodge at the National Order of the Arrow Conference in Knoxville, Tenn. At the 1992 N.O.A.C. Scott McKie, in his last Dance Competition as a youth, placed second in the National Fancy Dance Competition. In 1993 Bob White Lodge had two members, Stephen Rauls and Eric Wilson, to serve on the National Jamboree Staff. In 1994 Bob White Lodge hosted the Dixie Fellowship. Eric Wilson served as Dixie Vice-Chief with Steve Hevel as his Advisor. 1995 proved to be a busy year for the Lodge. A great contingent went to N.O.A.C. as well as to the Dixie hosted by Tomo Chi Chi at Camp Blue Heron. Two Ordeals and three Trail to Brotherhood opportunities were held with great success, and a grant was received for our Lodge to construct a shelter for the new C.O.P.E. Course. The Lodge Officers made great strides this year to improve our Lodge. This was evident in our success in many areas, at Dixie, Troop elections, and camp improvements. In 2000, our Lodge Chief, Jay Widby, was elected as Section Chief. The Lodge sent a large contingent to NOAC. The year 2001 brought many changes to our Lodge. In 2001 Bob White Lodge voted to authorize District Chapters, with each District working to further enhance our Lodge. The Lodge began to focus more on council and district service. 2002 was a banner year for the Bob White Lodge. The Lodge inducted over 100 members at the March Ordeal. At the 2002 NOAC, Jay Widby received the Order of the Arrow Distinguished Service Award. While several former Lodge members (Larry Warlick, Dr Ken Davis, and David Surrett) of the Bob White Lodge have received this award, Jay is the only one to receive it while a current member of our Lodge. 2003 Lodge Chief Kane Bonnette was selected to be the Administrative Coordinator for the Dixie Fellowship of 2004. Also in 2004, the first Ordeal at Knox Scout reservation was held in March. Lodge Member Pete Cato was elected Vice Chief of the Section at the 2004 Dixie Fellowship. Also, in 2004, the Lodge sent 10 Arrowmen and 5 adults to the 2004 NOAC at Iowa State. 2005 started successfully as we prepare to host the 2006 Dixie Fellowship at Knox Scout Reservation. Former two term Lodge Vice Chief Joe Dorsey was selected to become the Dixie Vice Chief for 2006. At 2005 Dixie, hosted by Muscogee Lodge, the Bob White Lodge performed exceptionally well, taking first place in Ultimate, second place in Plan Book, and received the C. Norman Alston Spirit Award. In 2006, the Lodge hosted Dixie at the newly developed Knox Scout Reservation. The Lodge was instrumental in providing the manpower to clear campsites, fields, and have the camp ready for Dixie and Knox’s first Summer camp in 2006. In 2009, Patrick Garcia was elected Section Secretary. In 2009, Arrowmen furnished the bulk of the civilian labor to put on the 3,000 person Jimmie Dyess Days Camporee. The Lodge laid out campsites, acted as troop guides, and operated its Store/Information booth at the Bob White Lodge Tipi. The strength of the Lodge was easily seen in the awards it earned. It was a Quality Lodge in 2002, 2003, 2004, 2005, 2006, 2008, 2009. It was a SectionHonor Lodge in 2003, 2004, 2005, 2006, 2007, 2009. It won the Spirit Award at Dixie in 2005 and 2007. It won the Knowledge and Training Award at Dixie in 2008. It earned first place in Newsletter in 2009. It earned a national award for the 2007 Scoutreach program. It sent Kent Plunkett, Keith Jones, and Bill Charters to the ArrowCorps5 project. The Lodge sent 15 Arrowmen, youth and adults to the 2004 NOAC at Iowa State, 19 youth and adults to the 2006 NOAC at Michigan State, and 11 youth and adults to the 2009 NOAC at Indiana University. At the 2009 NOAC, SR-5 demonstrated the most unity and loudest pride in the nation. The Section Officers and Lodge Chiefs staged their Cheerwine chugging con- test before rocking the last show. In the 2010’s, the Lodge continued on its excellent record of service in its eighth decade. It was a Quality Lodge in 2010 and 2011. It was a Section Honor Lodge in 2010, 2011, and 2012, and earned the Journey to Excellence Gold Award standard in the first year of the Award Program. In 2010, Patrick Garcia was reelected as Section Secretary. In 2011, the Bob White Lodge sent a full contingent to the SummitCorps to build 28,000 feet of bike trails for the National Park Service adjacent to the Bechtel Summit Reserve. On December 30, 2010, the Bob White Lodge received a National Service Grant to move the Rivers Lodge, its 1813 hand hewn log cabin, from the Highway 56 Camp Linwood Hayne to the Knox Scout Reservation. By October 2011, the Rivers Lodge was moved with a month to spare from the deadline in the grant. In 2012, the Lodge received its first E. Urner Goodman Camping Award for camp promotion. In 2012, Arrowmen again furnished the bulk of the civilian labor to put on the 3,000 person Jimmie Dyess Days Camporee. The Lodge laid out campsites, acted as troop guides, and operated its Store/Information booth at the Bob White Lodge Tipi. The Lodge sent 14 Arrowmen, youth and adults, to the 2012 NOAC at Michigan State. Again, SR-5 demonstrated the most unity and loudest pride in the nation. The Section Officers and Lodge Chiefs staged their cheerwine chugging contest before rocking the last show. To close out 2012 and as part of the OA’s centenary celebration, the Bob White Lodge provided a Legacy Rock to be installed in Brotherhood fireplace at the Bechtel Summit Reserve. The Legacy Rock was made from Georgia granite from our area. It was 22.5 inches by 10 inches by 4.5 inches with “Bob White Augusta, Ga” carved into the face of the rock. It weighed 85 pounds. The rocks were to be delivered by December 15, 2012 to the OA National Chairman Ray Capp’s home in Nashville, Tennessee. The Lodges were encouraged to use a rock which is representative of their area. Ultimately, the rocks are to be used at a fireplace at the Summit Bechtel Reserve. 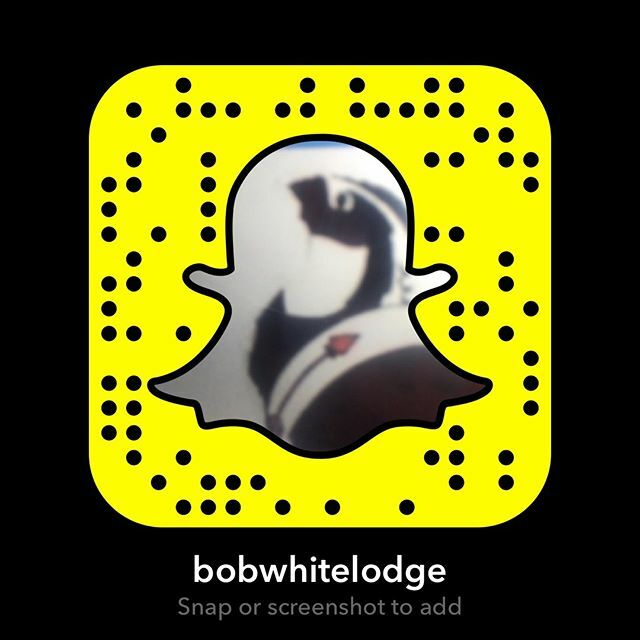 The Bob White Lodge was the first in SR5 to do so. In 2013, Steve Kerr became the Lodge Adviser. Bob White had a great representation on staff at the 2013 National Jamboree, the first to be held at the Bechtel Summit Reserve in West Virginia. The Lodge also set a contingent of two to National Lodge Adviser’s Training Seminar and three to the National Leadership Seminar. The Lodge continued its service to the Council through events including University of Scouting and Merit Badge University. The Order of the Arrow announced its theme of a Centuries of Service. To honor that commitment, the Bob White Lodge set out on a three year task mission of service and celebration. The Lodge completed the task of putting a roof on the cabin. In May of 2014 the Key 3 launched an initiative aimed at Arrowmen service at district and council events. Arrowmen left an impact at events including Cub Fun Day, Cub Day Camp, two-thirds of summer camp staff, assisting in moving the Service Center, Council Camporee, among other events with the Lodge giving almost 5,000 hours of service in 2014. The Fall Ordeal saw unprecedented numbers in attendance due to improved communication. The Lodge hosted its first Lodge Leadership Development by national standards in years and followed up with a second one in the fall. 2014 was the first year since 1972 that the OA did not have a national event; however the Bob White Lodge still had impact on such a level with attendance at the National Meeting in Nashville, OA Adviser’s Seminar at Philmont, and National Leadership Seminar & National Lodge Adviser’s Seminar in SR-1B. Through its hard work, the Lodge obtained Journey to Excellence Gold for 2014. The Lodge had the privilege in January of 2015 to have one of our largest banquets in recent years with former Augusta Mayor Bob Young and 2015 Southern Region Chief,Alex Leach as guest speakers. 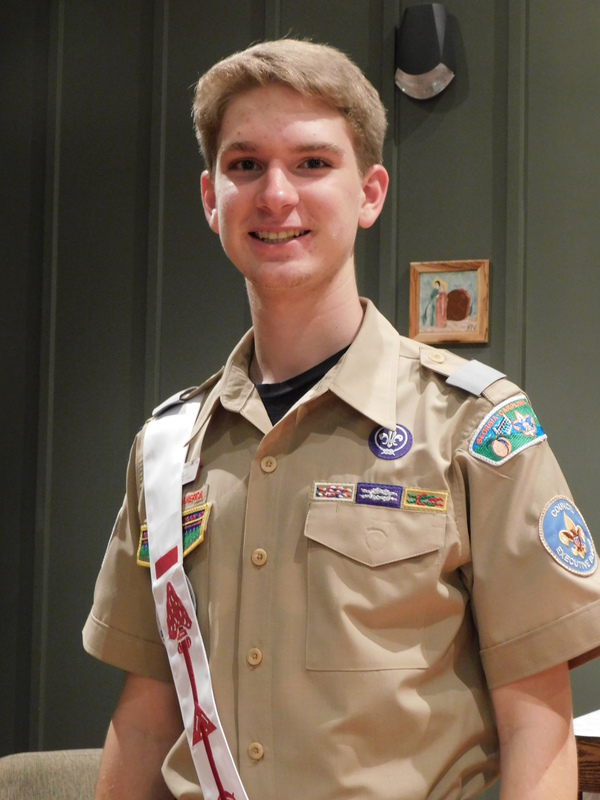 At the 2015 Dixie Fellowship hosted by Catawba Lodge at Belk Scout Reservation, Lodge Chief Reed Powell was elected SR-5 Section Chief. Vice Chief of Administration Carter Harwell took the reins of Lodge Chief after Reed’s resignation in May. The Lodge will send a contingent of 19 to NOAC at Michigan State as well as three Arrowmen on staff. As the centennial year continues, the Lodge will prepare Knox Scout Reservation for the 2016 Dixie.